Both of Meet's parents struggle with poor health. Before their health started to decline, Meet's father was was rickshaw driver and his mother was a housewife. Due to these circumstances it is very difficult for Meet's parents to provide for all of his needs. 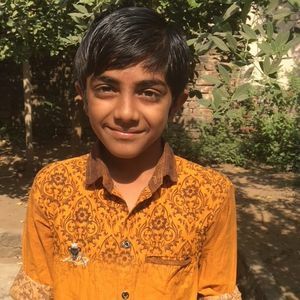 Meet enjoys going to school and would like to study for as long as he can. Your sponsorship will allow Meet to regularly attend school as well as recieve proper nutrition, clothing and medical care. Not only will your sponsorship give Meet an education, it will give him hope for a bright future!